Organizers and event hosts can view a summary of feedback their members share about events. Members are invited to share a rating of the event and can choose from a list of follow-up responses. Members who did not attend the event but RSVPed as attending can opt out from leaving feedback. Navigate to your group’s homepage. Go to your Events tab and click Past. Choose a past event and select Manage (or select Organizer tools from any past event page). Members who have RSVPed as attending an event are invited to share feedback after the event has ended. All feedback is shared anonymously and cannot be edited once it’s submitted. Learn more about how members share feedback about an event. All new Meetup groups are announced to nearby Meetup members shortly after they've been created. The announcement email is sent to members who have expressed interest in one or more of your group's topics, and have also indicated that they are willing to travel far enough to reach your Meetup group. For example, when a member signs up to hear about new 'Book Club' Meetups, they indicate how far away they would be willing to travel to attend an event. If they say they will travel up to 5 miles, we will likely not suggest a new 'Book Club' Meetup if it was started in a postal code 10 miles away. But if the same member said they'd travel 50 miles, we will tell them about new Meetups that fall within that distance from their postal code. Generally, Meetups are announced shortly after they've been created and approved by the Community Team. This brief period gives organizers a chance to schedule a few Meetup events, upload some images, and perhaps establish Member dues for their Meetup group. New Meetup group announcements cannot be expedited or delayed. When you have lots of interests, it’s only natural to want to share them all. If you can’t find a local Meetup that fits what you’re looking for, we encourage you to start one yourself. As an organizer, you can lead up to three Meetup groups with an active organizer subscription plan. We won’t ask you to pay anything addition to start a second or third Meetup group, or to step up as organizer of an existing Meetup group. If you decide to organize more than one Meetup group, we recommend appointing a leadership team to help you manage the additional responsibilities. Your leadership team can help coordinate Meetups, moderate discussions, and keep your community thriving. If you’re interested in building a larger network of communities, or if you're currently managing more than three Meetup groups using separate accounts, we encourage you to check out Meetup Pro. Within the hundreds of thousands of groups on Meetup, you’ll find unique communities across the globe connecting around an endless range of topics and passions. The best part is: there’s always room for you to create the community you envision. The goal of Meetup is to bring people together in real life to connect around a shared passion or identity. To accomplish that goal, we expect all organizers to not only manage their group’s online presence, but more importantly, to create ongoing opportunities for members to Meetup in-person. Think you’ve got what it takes to lead a Meetup group? Just kidding, we know you do. Let’s get started! Next, we’ll serve you a series of prompts. If you prefer to follow these prompts on your own, scroll down for the abridged instructions for creating a group. Here, we walk you through how to make the most of each prompt, but you’re welcome to set out on an unguided adventure using the steps down below. The first step in creating your Meetup group is to give it a hometown. This is typically your own town, but you’re welcome to set another one, so long as it’s close by. For instance, if you live in a small suburb but plan to conduct the majority of your Meetups in a nearby city, you would want to list that city rather than your own hometown. Next, set the topic of your Meetup. Use the search bar to choose a topic that most closely reflects the focus of your group. If your Meetup spans several topics, you can choose up to 15 topics in this step (or just choose one and add more after your Meetup is created). What you choose here doesn’t have to be an exact match; you can get into specifics in your group description. Using your location and selected topic, we’ll generate a group name for you. We encourage you to customize this to more accurately reflect what your group is about. Who should join: What type of person should join your group? Why they should join: Is it to share in the same activity? Learn new things? Just have fun? What members can expect: What will your typical Meetup be like? Make sure your description is clear and in line with our Community Guidelines. If you don’t already have an active organizer subscription plan, now is when we’ll prompt you to choose a plan. Feel free to read up on organizer subscription plans before selecting the one that’s right for you. When you’ve finished creating your group, you’ll receive a receipt for your organizer subscription payment, and your Meetup group will be live on the platform. At this point, your best happy dance is an optional, but recommended, step. Our Community Experience Team will review your new Meetup to make sure it aligns with our Community Guidelines. We usually approve new Meetup groups within 24 hours, at which point we’ll announce your Meetup to nearby members with relevant interests and invite them to join. Once you’ve created your new Meetup group, you can access it by clicking on your Profile icon in the upper right-hand corner of your account. Once you’ve created your new Meetup group, you’ll find it under the Groups icon. Once you’ve created your new Meetup group, you’ll find it under "Your groups" section on the Home tab. Asking the right profile questions can help the organizers of a Meetup group learn more about new members and set clear expectations for membership from the start. Profile questions not only help organizers learn about potential members, but they also help members learn more about the Meetup. It’s a win-win for everyone. We’ve compiled examples of great questions asked by some of our most successful groups. While these questions are group-specific, they give a great idea of what kinds of questions have worked well for other organizers. Anything we should know about your running preferences/history/fortitude? Has your work been published anywhere? If you’re willing to share, we’d love to know where! How old is your corgi? When an organizer closes a Meetup group, all group history will be completely deleted from the platform. This includes photos, discussions, transactions, and member lists. Don’t fret - we know the memories and friendships you gained through the group will live on (you don’t need digital proof of that). If your Meetup group is closing, we understand why you’d want to save some things beforehand. We don’t have a system for archiving or exporting a Meetup group’s history, but you’re welcome to do so manually. For written content - including descriptions, welcome messages, event descriptions, and discussions - you can copy and paste them into a document on your computer/device or on the cloud like Google Drive. For photos, simply open the photo within the album you want to save, right click the photo (or tap and hold on mobile), and save it. Note: It is currently only possible to remove and/or ban members from the desktop web version of Meetup. Organizers (including co-organizers and assistant organizers) have the ability to remove or ban members from your Meetup groups. You decide which option is best for which members. If you remove a member from your Meetup group, they can request to rejoin at any time. If you ban a member, they are removed from your group and are prevented from sending a request to rejoin. Consider a ban if a member’s behavior is negatively affecting the experience of other group members, or otherwise in violation of our Community Guidelines or Terms of Service. Whether a member is removed or banned, Meetup sends them a short message to let them know that they are no longer a member of your Meetup group. To make sure members are a good fit for your group from the start, we give organizers tools to screen members and control who can join their Meetups. Organizers who decline a member’s request to join their group also have the ability to ban that member from there. Keep track of banned members through the Banned Members tab in your Members List (this is only visible to the group’s leadership team). This is also where you can unban a member if you decide to change your mind in the future. How do I remove or ban a member from my Meetup group? Note: Custom titles can only be assigned from the desktop web version of Meetup. Meetup group organizers (including co-organizers, or assistant organizers) have the ability to give custom titles to your members. Assigning custom titles can make your Meetup group stick out from the crowd, and can also help keep members engaged. Custom Titles will always be visible to the members of your group. Don’t worry, member titles aren’t permanent. Only group organizers can edit or remove titles from members. How do I assign custom member titles? In addition to the primary organizer (the person that pays for a group’s subscription), there are three roles on a group’s leadership team: co-organizers, assistant organizers, and event organizers. To support the primary organizer, each role has different levels of access to a group’s organizer tools. Learn more about the benefits of appointing a leadership team. From your group’s homepage click Members. Click the arrow next to the person you want to appoint. Click Manage member roles from the drop-down menu. Select co-organizer, assistant organizer, or event organizer. Leadership roles can be adjusted on Meetup’s desktop and mobile website. Every event is assigned a one-time event host. An event host can manage an event's location, date, and time. The event host position is assigned to the creator of the event by default but can be assigned to any member of the group. Note: It’s currently only possible to view your Meetup group’s stats via your desktop web browser. When you know more, you can do better. We give all Meetup organizers the ability to access stats about their groups, so they can monitor their success and build towards something even greater. With your stats, you can see how your Meetup grows, how active your members are, and which Meetups they’re most drawn to. From there, you can choose to view your Meetup group data from the past week, the past three months, or the entire history of your Meetup. By default, your Meetup group’s stats are only visible to the main organizer, co-organizers, and assistant organizers. If you want more people to know how well your Meetup group is doing, you can change the visibility to allow all your members to see, or you can go public to allow anyone to see. To change who can view your stats, select your preference from the dropdown menu next to Who can see this? How do I see my Meetup group's stats? There is no big secret to improving your search rankings on the Meetup site or in search engines like Google. The best way to make your way to the top is by ensure your Meetup group's pages have interesting, relevant, and useful information about your Meetup. Search algorithms base their results on things they think will be be the best and most useful match to someone searching a specific keyword. Using your Meetup group’s Topics section will help both the search engines and people searching know just what you’re about. Tagging topics that are relevant to your group will increase the chances of interested members finding you. You’ll find your topics on your Meetup’s homepage, under the We’re about section. Topics don’t have to be permanent. You can change the topics for your Meetup at any time. Give your Meetup some leverage by editing your Meetup group's topics. The more specific information you provide in your topics, the easier it will be for people and search engines to find you. We’ve thought of a few things you can do to make sure you're showing off what’ your Meetup group is most passionate about. We all like to be creative, but for search engine purposes, the ideal group name is super simple and reflects exactly what your group is about. We’ve come up with an easy formula to help get you started on ideas. something your really passionate about. Only summarize the most exciting and important parts. When we say short, we mean around 100 characters: "We are romance novel enthusiasts who meet at a local coffee shop to discuss books and authors we love." That's it. Keeping it short and sweet will help grab the attention of the user who finds you in a search, and they’ll understand what clicking on the link to your Meetup Group will take them to. You don’t want anyone confused on their first impression of you. The rest of your Meetup Group description should include details about who should join the group, what members can expect, and what sorts of activities you do. Head on over for more inspiration of what makes a good group description. You don’t have to tell your group’s whole life story to the world. Make sure you've got relevant information in there, but there's no need to go overboard. This can cause potential members who come across your group to feel overwhelmed. You’re group description is not carved in stone, and you can edit it at any time. One way search engines decide whether any particular site is useful is by checking to see if other sites on the internet are linking to it. Post a link to your Meetup Group from your blog, or get other folks to post a link to your Meetup Group from their sites. Don't lose sleep over this step -- it's useful, but try not to go overboard. You don’t want people thinking the group to your link is spam. There are people who try to game the system with things like lists of invisible keywords or repeating content. Don't be one of those people. Lists of keywords or garbled text are not helpful for potential members trying to figure out whether they'd like to join the Group or not. Search engines want user’s to be happy when they click on the link to read more. They don’t want to see a user clicking, then hitting the back button because the link wasn’t relevant to what they were looking for. Repetitive content, 'non-human language', and other things designed just to trick the search engines can get your Meetup Group de-listed and removed from the search results entirely. That goes for search engines, as well as the search functions on the Meetup site. We want everyone in our community to play fair and by the rules. As you may have heard, Meetup recently rebranded into something greater. One of the key components of our new brand is our new logo – the Meetup swarm. Each Meetup group is an individual swarm, made unique by its members, who unite to make a greater difference. To give everyone in our community the ability to participate in our new branding and identity, we created a way for each Meetup group to pick a symbol, customize it, and make the Meetup swarm their own. Our hope is that this new system helps our members and organizers create great looking signs and swag, making it easier to find each other in real life. To us, the swarm represents groups of people coming together for one thing: to unite, rise up, and do something greater. We hope that you join in and create a swarm of your own. To start your very own swarm for your Meetup group, head over to the Swarmify tool. With Swarmify, you can choose from thousands of group logos, make one your own, and use it for your Meetup group cover photo or print it on some t-shirts and swag for your members. While there isn’t a way to upload your own photo to Swarmify yet, there are many images to choose from. Meetup’s logo represents why we exist in the first-place — to bring people together to do the things that matter most to them. We call it the Meetup swarm, and it’s created when individual dots unite to form the “m” symbol. Please note that organizers and members using a Meetup Logo or variation must comply with Meetup’s Terms of Service. Want to take your Meetup group branding to the next level? Get started creating your own Swarm. What are the guidelines for using Meetup's logo? If you decide to close your Meetup group, all group history and information will be completely removed from the platform. This includes photos, discussions, and member lists. We encourage organizers to let members know ahead of time about a group closure. That way, everyone has time to preserve the memories and friendships they’ve made along the way. Alternatively, organizers should consider nominating another group member to take their place as organizer. Then interested members will have the chance to continue meeting up. 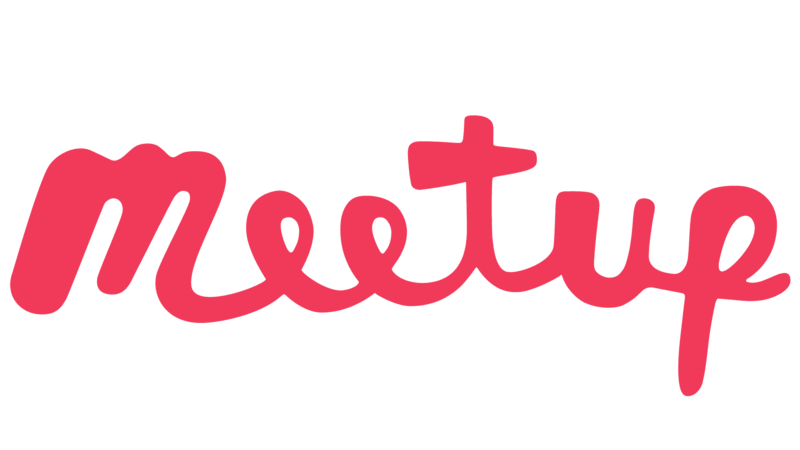 While Meetup does not accommodate exporting group information, members and organizers are welcome to save content manually. For written content, such as group or Meetup descriptions, welcome messages, discussions, and mailing list messages, we recommend copying and pasting the content into a document, either onto a cloud storage program like Google Drive or into a file on your own computer. For photos, you can download them or take screenshots from a group album and save them to your computer or device. How do I save content from my Meetup group? We want to help you find members who are the best fit for your Meetups. By default, anyone can join a public Meetup group. As an organizer, if you want to be more selective, you can enable settings to help you screen members before they join your community. For all platforms, checking the box next to New member approval allows you to manually approve all new member requests. Meetup will always notify you about any new membership requests, and a members will remain Pending until their request is accepted or denied. To make things personal, you can also require that your Meetup group members have a profile photo, meaning members cannot join until they upload a photo. You can also ask new members to answer profile questions, so that you and others in the group can get to know them better. New members have to answer these questions before their membership request is submitted. You can review their answers from their group profile page. Once accepted into the Meetup, all members have the option to edit these answers at any time from their group profile page. Profile questions don’t have to be permanent. Group organizers can edit them, and add up to five profile questions for their Meetup group at any time.